We’re thrilled to announce the launch of GreenVoltWestSol.com. GreenVolt Batteries, the latest addition to our portfolio, specializes in new and reconditioned batteries for industrial and solar requirements and prides itself on providing innovative products and technologies to its clients. Unfortunately, the old static site did not reflect the company’s forward-thinking and innovation-focused approach. The solution? 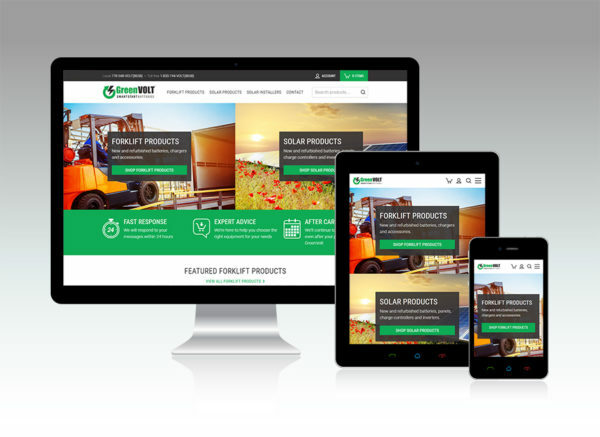 A new, fully-responsive website with a clean, modern theme and e-commerce functionality to boot! Built on the WooCommerce platform, the new site enables clients to conveniently request quotes for multiple items. Once they submit their request, the GreenVolt Batteries administrative staff reviews their submission and provides them with a price for their quote, which clients can accept and pay online at the click of a button.